Dylan, Bob. 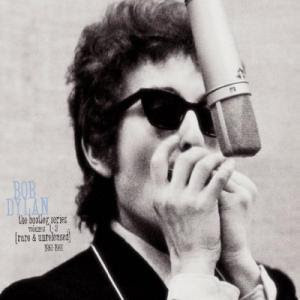 “Seven Curses.” The Bootleg Series: Vol. 1-3. Columbia, 1991. Dylan and Shakespeare. Shakespeare and Dylan. So many connections and intersections between the classics of literature and Bob Dylan exist that it's hard to narrow it down. But I've been teaching Measure for Measure, and we really can't ignore Dylan's use of and contribution to the folk narrative of the unjust judge as we consider the source material available to Shakespeare. I speak, of course, of "Seven Curses." Here's the song. It's not particuarly graphically thrilling, and the lyrics (taken from the web site) in the text are slightly different from those that Dylan sings, but it establishes the basic plot. That's all for tonight. Tomorrow, we'll explore the ideas my students had about the differences between this basic folk plot and the plot of Shakespeare's play—and the cumulative significance of those differences. Links: The song at bobdylan.com.